Are your conversion rates so low that they are embarrassing you? Do you want to finally make more money and increase your online business’ bottom line? Now You Have The Power To Increase Your Conversion Rates And Drive More Sales With Each Email That You Send..It’s Like Having A High-Conversion Machine! Subject: Here's How You Can Dramatically Increase Your Conversions, Click-Through Rates And Sales! You probably know this already, but there's ONE single element in online marketing that works like a charm and brings home results that are simply staggering. I am talking about scarcity. Look, testimonials, pricing strategies or selling points do work, but if you really want to start generating that results you deserve, you should definitely exploit the power of scarcity. If you take a moment and look around, you will see a very powerful trend that is being used by more and more marketers: scarcity. Scarcity techniques are SO incredibly powerful that can pressure even the most stubborn clients and "force" them to buy or take any action you wish. That's why the "rich marketers" don't hesitate to use this powerful marketing technique over and over again…it's basically like fueling a money-making machine. Naturally, I am one of those marketers who constantly uses scarcity techniques to generate more money and increase my online business' bottom line. My expertise is email marketing, and one day, while I was researching ways to make my business more effective and profitable, I came up with the brilliant idea of adding countdown timers to my emails. Like people would be hypnotized and decided to pay attention to what I have to say! Now, for the first time ever, I am revealing to the general public my very same WP plugin that's so devastantingly powerful; people will DO whatever you tell them to do! You can install it in less than a minute and begin to add your countdown timers real easy, even if you've never used a WP plugin before. 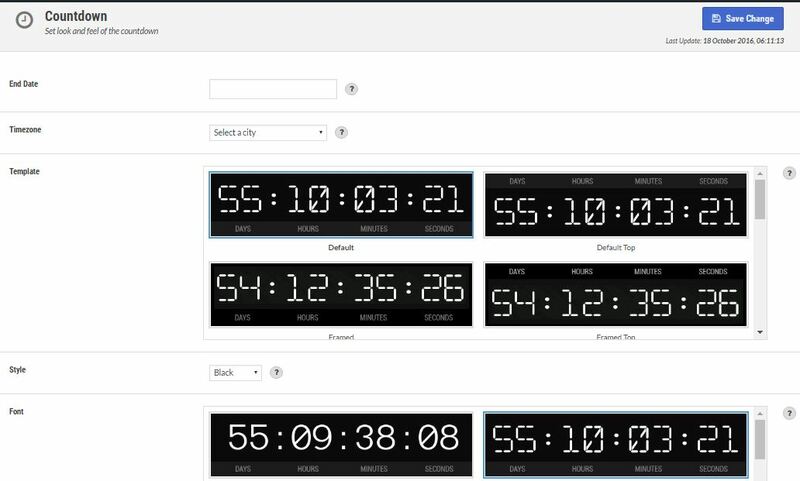 You can modify and customize the plugin your way by choosing countdown style, effects, animation, style and much, much more! This is something really cool as it can reveal interesting data that you can use to make better business decisions (and thus, increase your profits). Increase your conversion rates and click-through rates and make more sales! Countdown timers inject scarcity to your marketing message, resulting in more profits for you. In a fraction of a second and "force" them to buy from you! Included with this product: we all hate risks. Well, I am removing it by providing you the chance to test-drive WP Email Countdown and if you are not satisfied (won't happen), I will refund your money. Unleash The Power Of Proven, Effective Countdown Timers That Only WP Email Countdown Can Provide! Listen, if I am being completely honest with you, this might be the most exciting and profitable opportunity that can double your online business really fast. Think about what kind of results you can get when you increase your conversion rates, click-through rates and sales. And you achieve this in the easiest and most comfortable way for you; by effortlessly adding effective and persuasive countdown timers that you can even customize. In fact, you can get started in just a few moments from now and start enjoying RESULTS. 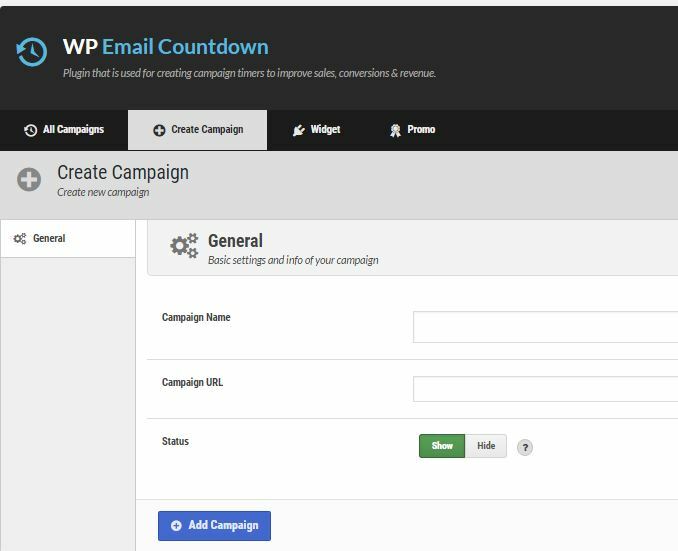 With Tiger WP Email Countdown Lite version you will be able to use and test many premium features of the plugin.